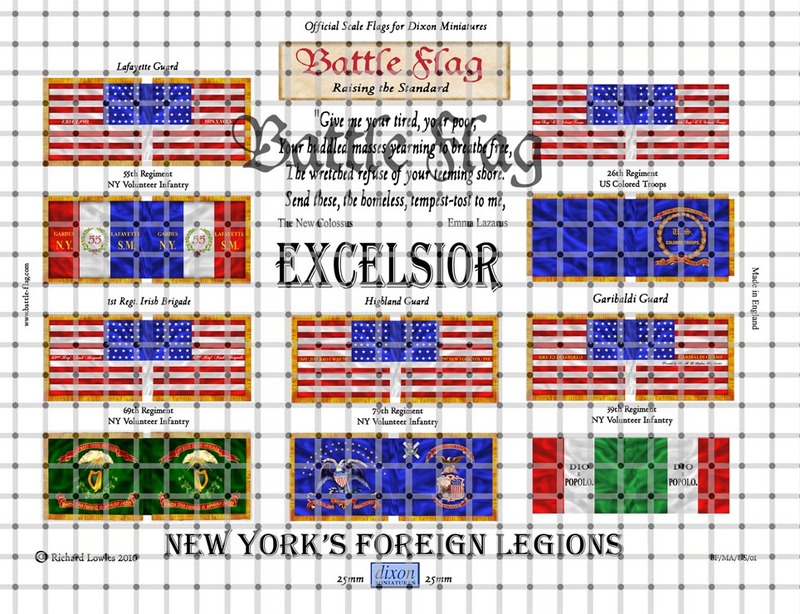 Beautifully designed, expertly scaled and printed using our archival quality inks and museum quality papers for superlative value. 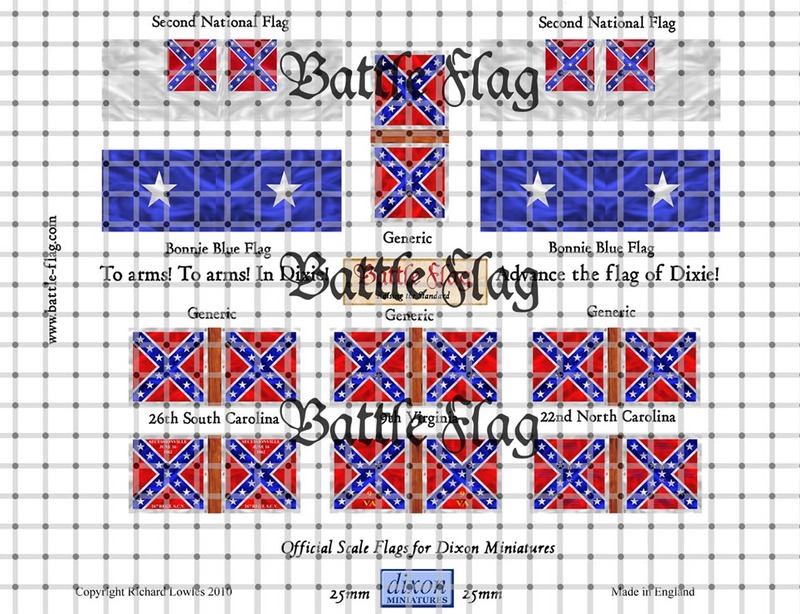 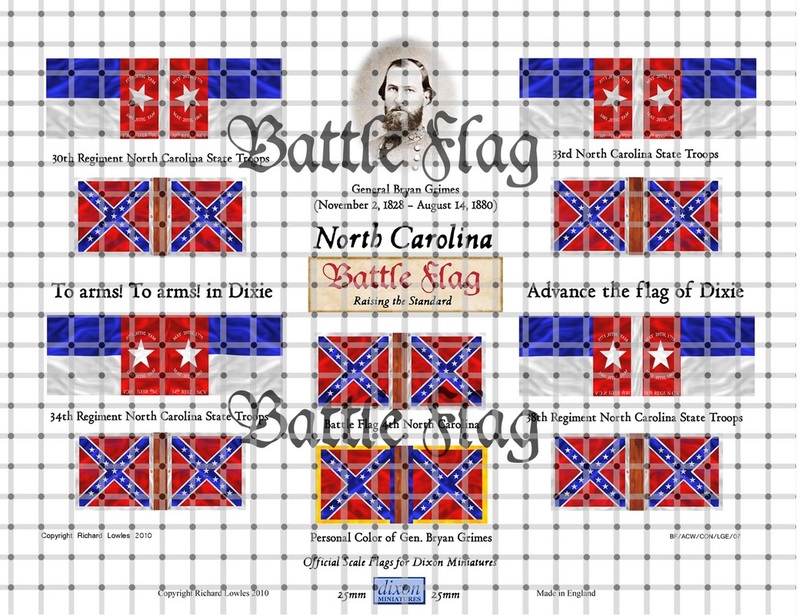 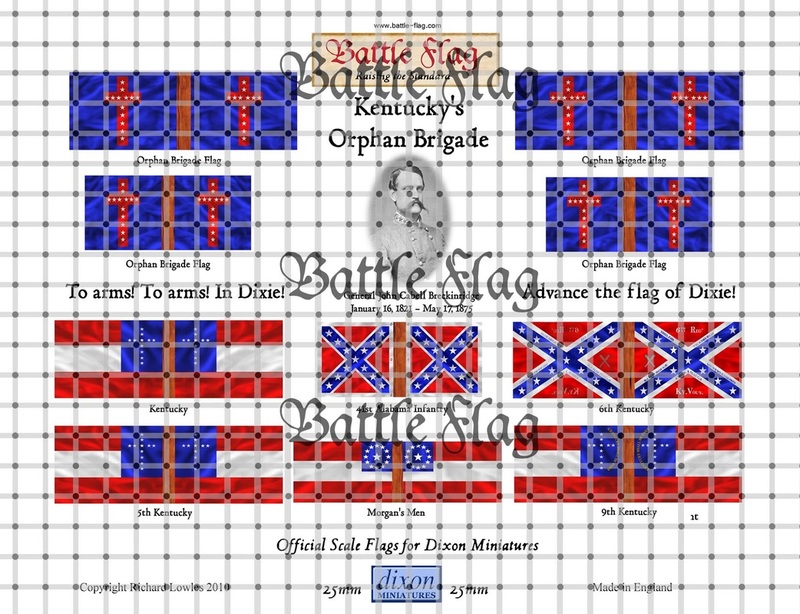 Battle Flag are proud to produce the Official range of wargame flags for Dixon Miniatures. The Sheet contains National and Regimental Colours for the Following; 39th NYSV (Garibaldi Guard), 55th NYSV (Lafayette Guard), 69th NYSV (Irish Brigade), 79th NYSV (Highland Guard) and the 26th Colored Regiment. 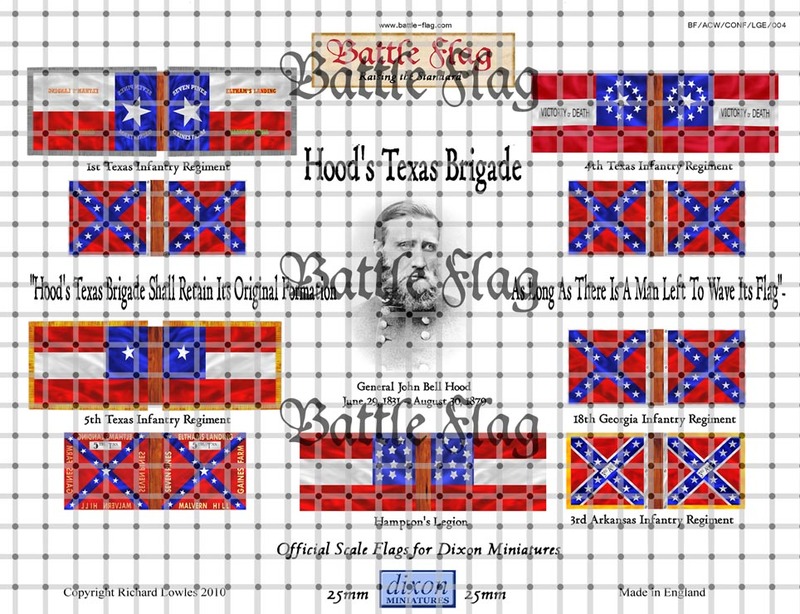 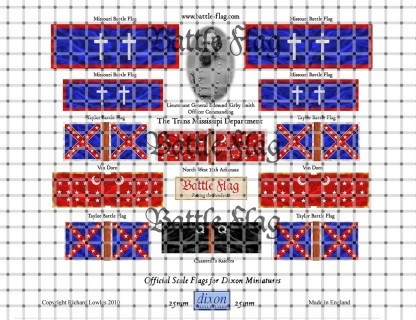 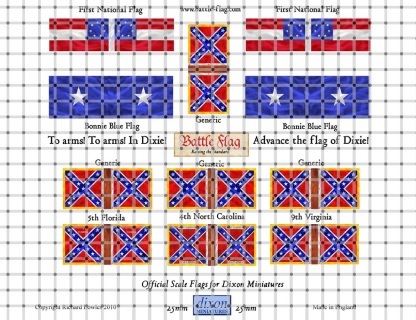 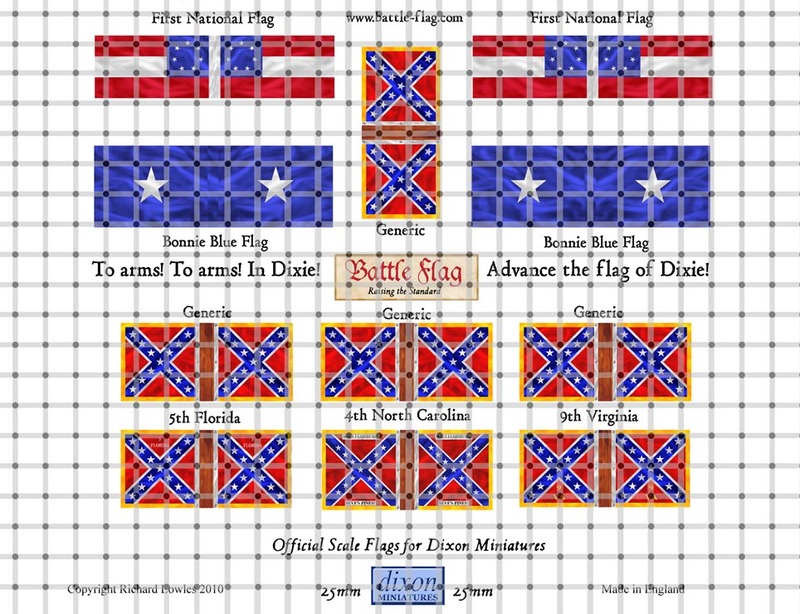 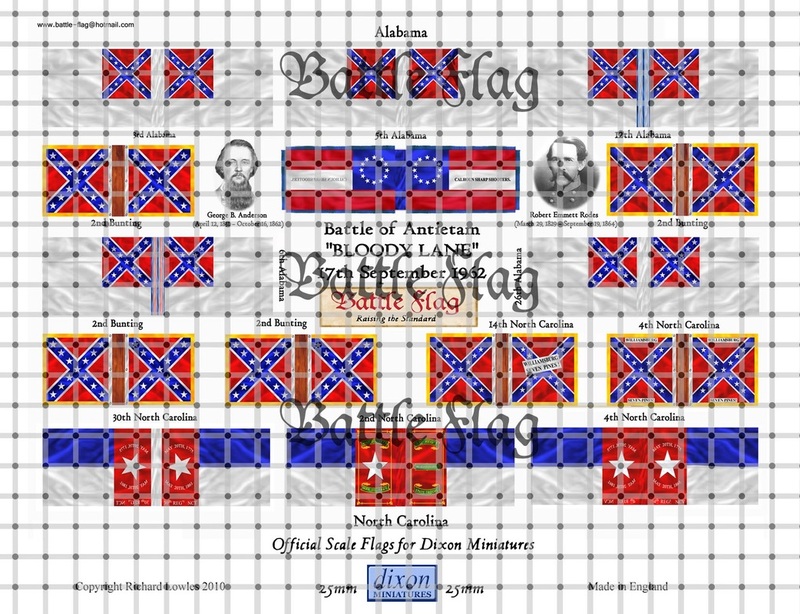 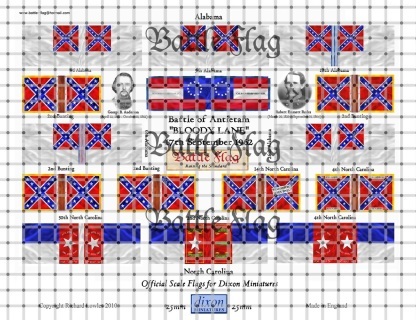 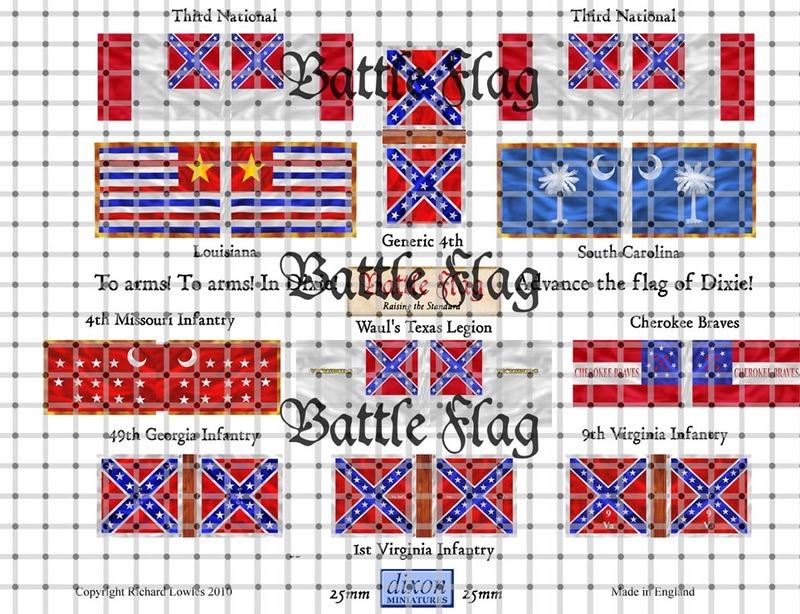 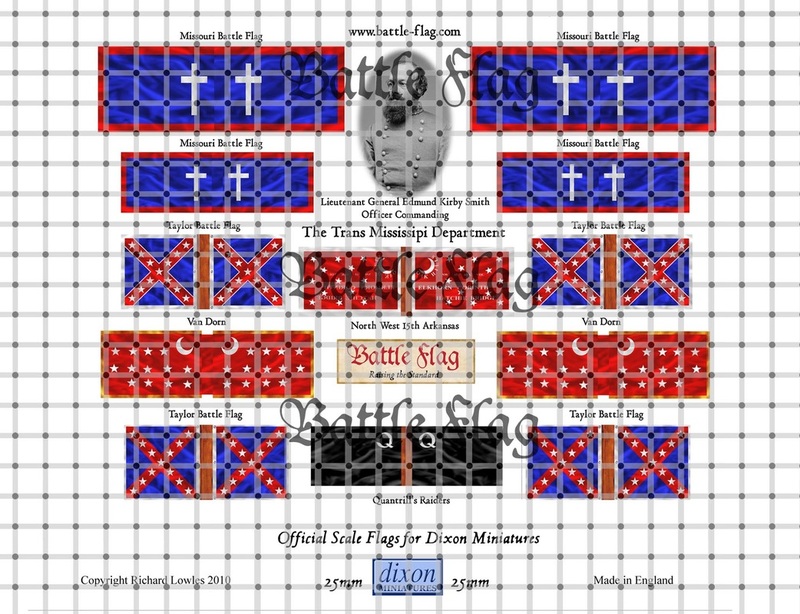 Sheet consists of; Battle Flag of Missouri Large (2), Battle Flag of Missouri Small (2), Taylor Battle Flag type 1(2), Taylor Battle Flag type 2 (2), Van Dorn Battle Flag (2), Battle Flag of the NW 15th Arkansas, Quantrill's Raiders. 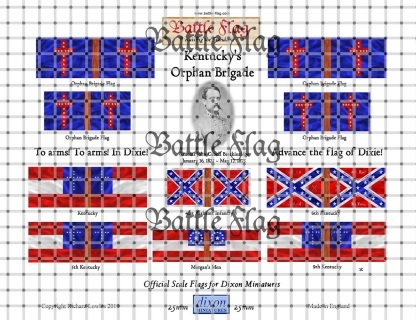 Sheet consists; Orphan Brigade Flag Large (2), Orphan Brigade Flag (Small), Kentucky Battle Flag, 5th Kentucky, 6th Kentucky, 9th Kentucky, Morgans Men, 41st Alabama..